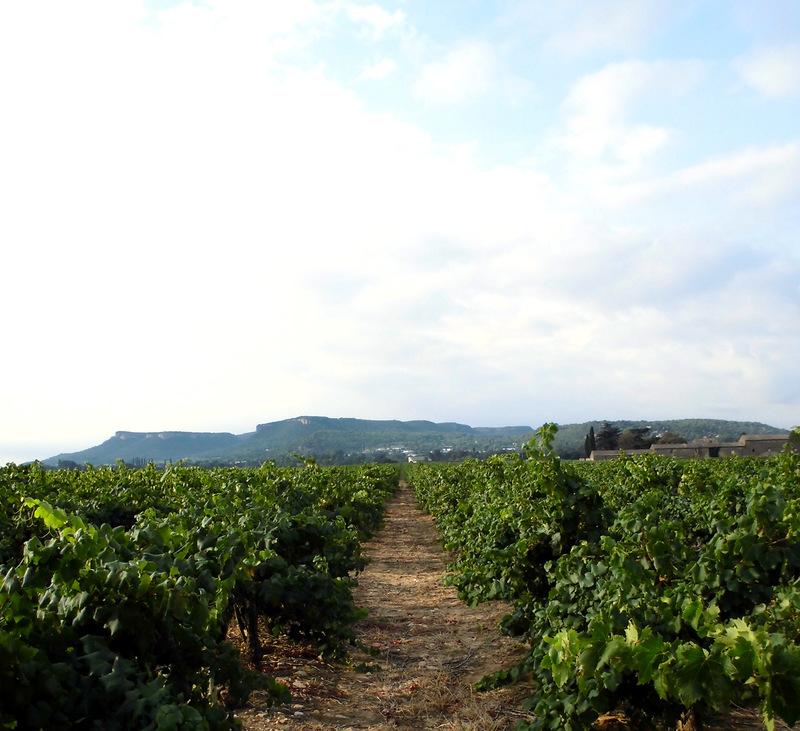 The 30 hectares of the Domaine de Carmignan are set on the right bank of the Rhone, between Chusclan and Pont Saint Esprit, near Bagnols-sur-Cèze in the Gard. Frédéric and Benoît purchased the estate in 2011, impressed by the diversity of its varietals, and the particular elegance and aromatic depth that the terroir gives the wines. There we grow the emblematic varietals of the Rhone Valley on two very characteristic soil types. In the northern part of the estate, the soil is rich in clay, and quite deep. Therefore it is perfectly suited to our white varietals – Viognier, Roussanne and Clairette – which produce aromatic, fine, balanced and beautifully fresh wines. In the southern part of the estate, the soil is drier and stonier, with rounded pebbles. This is the perfect playground for the Grenache vines which take advantage of the reverberation of the heat of the sun and the more limited water intake, meaning that the grapes ripen more slowly. Domaine de Carmignan covers 30 hectares lying between Chusclan and Pont Saint Esprit, on the right bank of the River Rhône. Benoît and Frédéric Lavau acquired it in 2011, having fallen in love with the great diversity of its grape varieties and the particular character and elegance of the wines produced in this land of the Gard region. Blend: 50% Grenache, 30% Syrah, 10% Mourvèdre, 5% Carignan, 5% Cinsault. Vinification: Total destemming, light cold pre-fermentation maceration, 15 days maceration and ageing in stainless steel vat. Serving: 16-17°C, with a grilled rack of beef. Blend:4 5% Viognier,4 5% Roussane,1 0%C lairetteb lanche. Vinification: Light maceration on the skins, low-temperature fermentation in stainless steel vat. Ageing in vat. Serving: at 10°C with duck mousse on toasted bread.